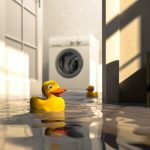 While some incidents of appliance failure only result in clean-up and/or loss of use, the potential for injuries and significant damage from water, fire, electrical shocks, or explosions does exist in the household appliances we use every day. ARCCA Expert Tim Tresierras’s article on this topic was just published in the Sept. 2018 issue of CLM Magazine. To read Tim’s article, click here. Dr. Tresierras is a Senior Engineer at ARCCA and his areas of expertise include mechanical engineering, electro-mechanical systems, materials science, vibrational and acoustic analysis (e.g., measuring noise as it relates to human hearing), and prototype design. To learn more about Tim or to contact him for help with your next case, click here.